You can make appointments by telephone or by calling in at the surgery. 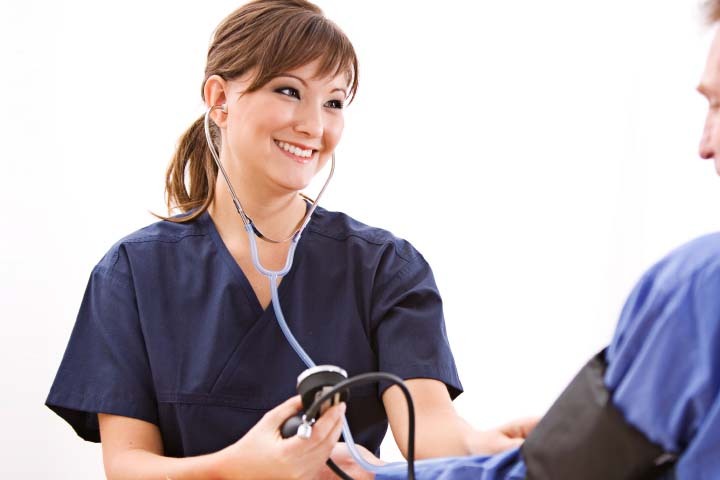 Whenever possible, we will give you an appointment with your own doctor. Appointments are 10 minutes long. Urgent appointments can be made by telephone or in person and will be provided on the same day. If you have several things to discuss with your doctor you may need to book a double appointment. Please arrive in ample time for your appointment. If you arrive more than 5 minutes late you may well be asked to re-book your appointment, which may be inconvenient for you. This number is open Monday - Friday 8.30am - 6.00pm, except for Wednesdays when the Practice is closed from 1.00pm - 2.00pm. The administrators will pass on messages to the doctor, to arrange for the doctor to telephone you after surgery or at a convenient time. 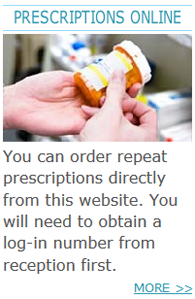 You can make and cancel appointments online from this website provided that you have a password to log into SystemOne. To obtain your password, please bring some photo id (driving licence / passport etc) to reception. Generally a patient is considered to be providing their consent by attending an appointment and following the treatment advised by the clinician, proffering their arm for an inoculation or otherwise enabling a clinician to examine them. This is known as 'implied consent'. If at any time you change your mind about an agreed course of treatment you should discuss this with your doctor. 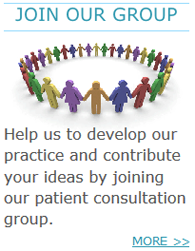 The practice protocol is based on the Department of Health's Model Policy for Consent to Examination or Treatment and the clinicians follow this protocol for those situations and circumstances where 'implied consent' is inappropriate. If you decide that your appointment is no longer needed, please ring up and cancel so that someone else can have the appointment instead. You can easily do this at any time by ringing our automated appointments service on 01392 201 791. 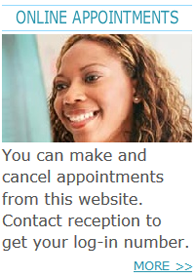 If you have several different problems to discuss, please make a longer appointment or separate appointments. Your doctor has only 10 minutes for each routine consultation.